Maybe Someday by Colleen Hoover – I’m finding that when it comes to NA, I’m either passionately on-board or totally underwhelmed. In the case of Maybe Someday, it’s the former. I am so impressed with this book! So much about it is just… different. The writing is compulsively readable. The characters are complex and likable. The problems are complicated and seem nearly impossible to solve. Maybe Someday centers around a love triangle, but it’s a love triangle that’s well done (no easy answers, no bad guys, real life), and even if you aren’t a love triangle fan (I am not) I bet you’ll still be completely engaged. My very favorite aspect of this novel is a particular element of diversity, an impairment one of the main characters has, which is handled in an informative and authentic manor, and also serves to heighten every other aspect of the plot, particularly the musical component. 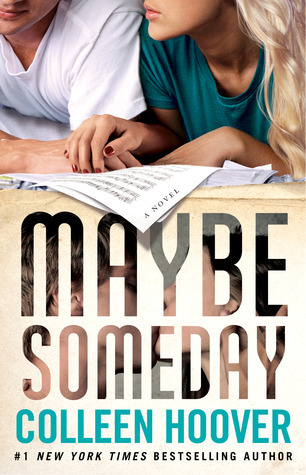 Maybe Someday‘s a big recommend, and I can’t wait to read more from Colleen Hoover. 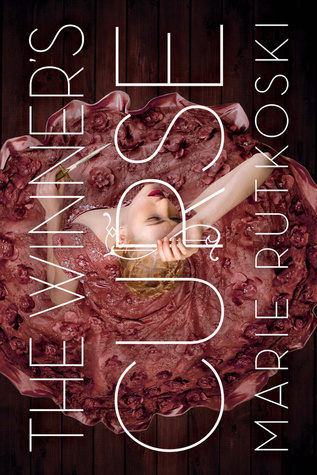 The Winner’s Curse by Marie Rutkoski – One of my favorites of the year! Though The Lumatere Chronicles and The Graceling Realm are some of my most-loved stories, for me fantasy is a hard sell. I *almost* didn’t read The Winner’s Curse because it’s just really tough for me to get into this genre. I am so glad I gave it a chance! I read this novel in less than forty-eight hours, and I loved every second I spent with MCs Kestrel and Arin. Their world is so richly imagined, and the concepts of ownership and free-will and conflicted culture and warfare are fascinating. Kestrel and Arin are both so intelligent and enlightened, and I loved following along as their relationship went from slow-burn to sizzling. The Winner’s Curse is full of secrets and twists, and of course it concludes with a big ol’ cliffhanger. I can’t wait to read The Winner’s Crime come March! 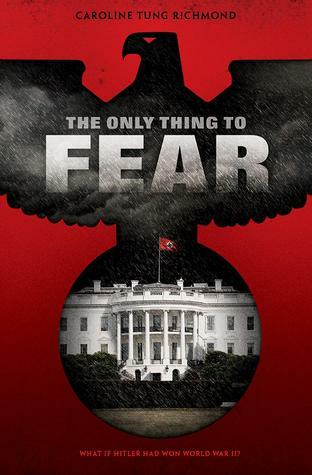 The Only Thing to Fear by Caroline Tung Richmond – One of the most creative stories I’ve read — a reimagining of the outcome of WWII had Hitler and the Nazis been victorious, combined with a small sect of the population who bear X-Men-like powers thanks to Nazi genetic testing. I love debut author Caroline Tung Richmond’s 3rd person narration, and how she handles The Only Thing to Fear‘s complex plot. There are some heavy themes in this novel, yet it never feels bogged down. And I adore protagonist Zara! She’s sweet but tough, stubborn but sympathetic, and so very courageous. I love, too, the romantic subplot. Bastian is delightful, and the scenes he and Zara share are some of my favorites. Pick this one up if you’re looking for a unique concept, stellar writing, and plenty of adventure. 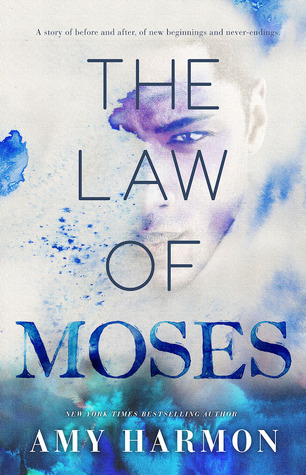 The Law of Moses by Amy Harmon – So, I have this friend who’s pretty much my book soul mate. She recommends the *best* stories to me. The Law of Moses is one of them — I hadn’t even heard of it before she mentioned it! This one gave me all the feels; I almost cried, and that never happens. The first half of the story is an angsty (in the best way) YA romance, while the second half flashes forward seven years, taking the story into more mature territory. This novel is part romance, part mystery, part magical realism, set in rural Utah. Main characters Georgia (a feisty cowgirl) and Moses (a “cracked” but incredibly talented artist) are endearing in their own nuanced ways, and I wanted nothing more than a happily ever after for them both. And Tag — I love him! Author Amy Harmon’s prose is lovely, and she has a way of invoking real, intense emotion. She gave me chills more than once… Recommend! 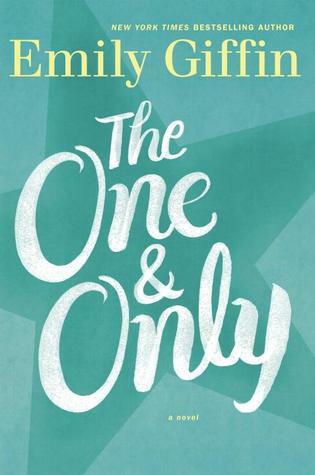 The One & Only by Emily Giffin – I have a lot of thoughts on this book, some critical, some favorable. One of my two main issues had to do with MC Shea, who I sometimes had a difficulty rooting for. She can be blatantly dishonest, which is a trait I have a hard time overlooking. But she’s passionate and hardworking and smart and loyal, too, not to mention a major football fan. Those qualities, thankfully, were enough to keep me on her side through the duration of the story. My other issue has to do with how a certain domestic abuse issue was handled. I won’t go into detail for fear of spoilers, but I found this thread heavy-handed and not completely resolved. Despite those matters, The One & Only is unputdownable. The love story, while unconventional and complicated, feels very genuine. I’ve read various reviews that mention serious problems with the romance, but I can totally understand how it evolved and changed over time, and how the circumstances heightened feelings on both sides; I found myself invested. Additionally, I love this story’s setting, its tertiary characters, and its college football backdrop. I look forward to reading more from Emily Giffin. The Lover’s Dictionary by David Levithan – My husband found this one on my Wish List and surprised me with it for Christmas. Going in, I thought it was YA — I guess because David Levithan is such a well-known YA editor. 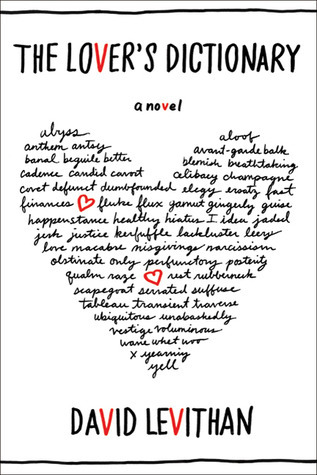 The Lover’s Dictionary definitely isn’t YA, but that doesn’t mean it’s not wonderful. It’s a brief and bittersweet tale of love and loss told through super clever dictionary entries. It’s a fast but moving read, sometimes funny, sometimes heartbreaking, and it felt like the perfect book with which to end my year of reading. I adored it. I bought The Winner’s Curse a couple months ago but have not picked it up yet. Have heard such great buzz about it! I’ve been on the fence about The Law of Moses. The synopsis didn’t draw me in but all my GR friends are raving about it. I might have to rethink this one and give it a try. It’s been a rather meh reading month for me. But I had some great reads at the very end of November. Maybe Not by Colleen Hoover. It focuses on Warren and Bridgette. Highly recommended. I loved it. And Teny Tiny Breaths by K.A. Tucker. What an unexpected gem that was! Can’t wait to read more by her. I’m not sure if I would have picked up THE LAW OF MOSES had it not come so highly recommended, but I’m so glad I did. Loved it! And you should definitely read THE WINNER’S CURSE soon — so, so good! I agree with your thoughts on MAYBE SOMEDAY. No shortcuts in that book as far as the writing and plotting go. It far surpassed my expectations! I’ll definitely check out STRAY, Rachel… I’m intrigued. And EVEN IN PARADISE sounds interesting as well. Thanks for the recommendations! I also can’t wait for THE WINNER’S CRIME, and I am dying to read Caroline’s debut. I just need to get out of this reading funk. Blah! Happy New Year to you! ❤ I'm with you — THE WINNER'S CRIME cannot come out soon enough. I'm so eager to read it!